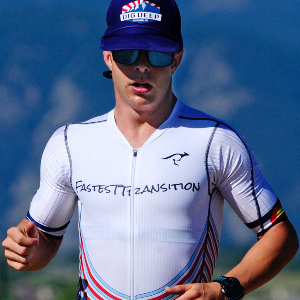 With background of exercise science and a niche in Triathlon, many athletes have achieved their goals with him in short sprints and Ironman distance endurence events. With experience as an elite athlete who has won multiple triathlons and who works closely with people on a one-on-one basis daily, he has learned to understand how the body responds and signs to look out for. Applying and explaining training philosophies with combination of science and athlete feedback, quickly transforms athletes. I'm Austin Mitchell, Master Trainer, USAT LIIE coach, and High School Track Coach. Personally, I have won multiple events overall including Wildflower, Santa Cruz, Scott Tinley, and several other events. Overcoming countless failures in the past, I eventually qualified and competed in the 2016 70.3 World Championships in Australia. I know what it takes to get to the “next level.” I coach full time and have studied in "tri-meccas" Boulder, Colorado and San Diego. I work along side some of the best in the world on a daily basis, but still help many amateurs achieve their goals as well. I've learned quite a bit along the way. Though some may still consider me a baby in my late 20s, but age is just a number (especially in endurance sports). If someone wants to be the best, they need to surround themselves with the best. Ultimately, its about YOU! There are many different secrets or philosophies in training that I have come across and evolved through my own training, coaching and racing experience. I'm somewhat of a tri-geek but am also mechanically inclined and data driven. In addition, I am willing to disregard science to favor the “feel” of training to get the best results. That's what separates the good from the great. If there is a triathlon book out there, I've probably read it and have a deep understanding of data analysis and the concept of periodization. Over 20 certifications including NASM, USAT II, sports medic, NESTA, TRX, Schwinn spin, & many more. Success. Coach Austin Mitchell has been notified of your message. To hire Austin Mitchell as your coach, select the coaching service that is right for you.